Do you want a FREE energy upgrade for your home: energy efficient light bulbs, properly sealed windows and doors, insulation on your water heater, and more? You can receive these things for FREE by having a Home Energy Assessment done on your home by your energy provider. This will not only help you save money and be more energy efficient in your home, but for every person who signs up through LIFEDesigns and completes a Home Energy Assessment, Energizing Indiana will give LIFEDesigns $25.00 if you complete your energy assessment! Once you sign up they will call and schedule an appointment with you to assess your home at no cost to you, including making needed improvements! Your electric service must be provided through Vectren, Duke Energy, IMPA, NIPSCO, Indianapolis Power and Light or Indiana Michigan Power. Click on the links below to find out all the details, if you qualify and to sign up. Please return these forms to LIFEDesigns by fax at 812-332-1186, or to the office in person or by mail at 200 E. Winslow Road, Bloomington, IN 47401. Or call us at 800-875-9615 and we will sign you up over the phone. It takes less than 5 minutes! 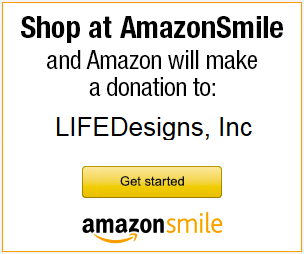 Thanks for helping LIFEDesigns while saving yourself some money and helping our environment, too! Energizing Indiana – What do I get? waiting on are rebate check. Hi Kevin. Thanks so much for your interest in this! It really is a win-win, for us and for you. The Energy Assessment is completely free, so you can do it anytime. The check for the LIFEDesigns donation will come directly to the LIFEDesigns office once you complete the assessment. Let me know if you have other questions about it: labshier (at) lifedesignsinc.org.